← Did Obama Just Lock Up Another Four Years in Office by Talking Sports? I stared at that photo for a good three minutes trying to come up with a good reason to not post it on LobShots. No reason was found. An early 90’s “Yo! 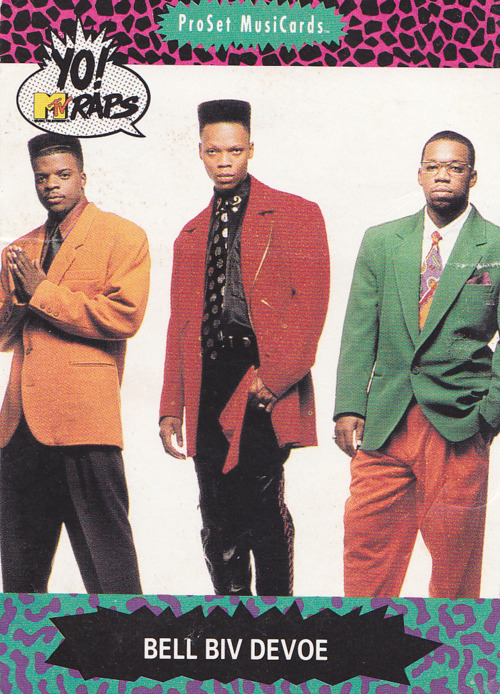 MTV Raps” R&B collectors card of Bell Biv Devoe? Yes freaking please. High top fades, orange pleated pants, tight leather pants, sports coats with zippers, colors to blow the mind. Way too much going on here to begin to capture with words. Just stare for awhile…let it simmer. This entry was posted in Music and tagged bell biv devoe. Bookmark the permalink.